I suffered a sandal malfunction 8k's into this morning's run and I had to run the last 2k's home barefoot- how terrible, I know 😉. 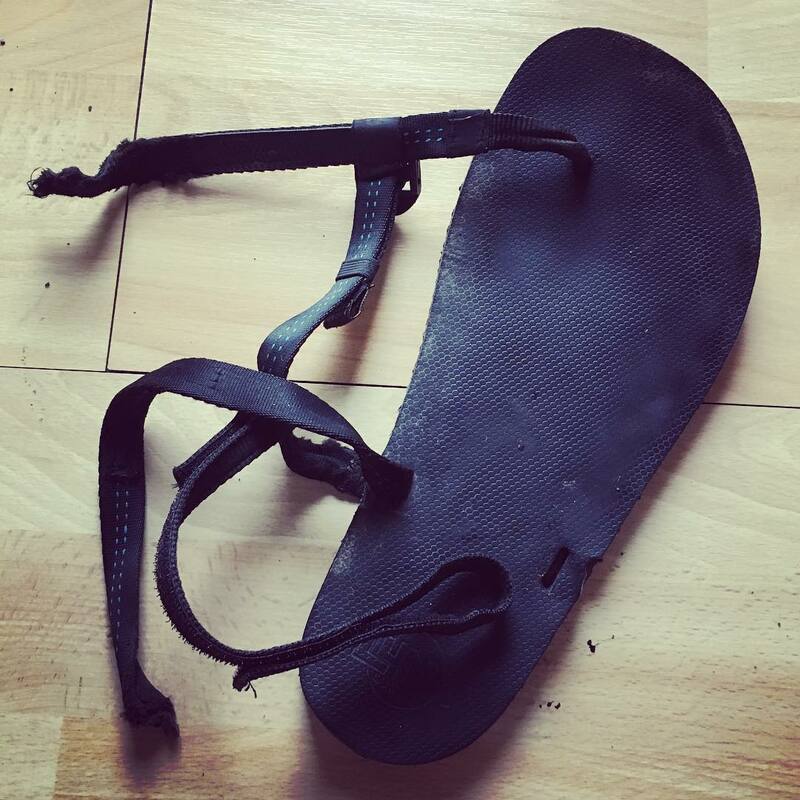 Update: Looks like I'm going to have to compromise a fix as Luna Sandals ask that you send the sandals to them for replacement laces to be fitted by them. It would be ridiculous for me to ship my sandals all the way back to the US for $25 worth of new straps so I've asked them if they'll bend the rules. We'll see.